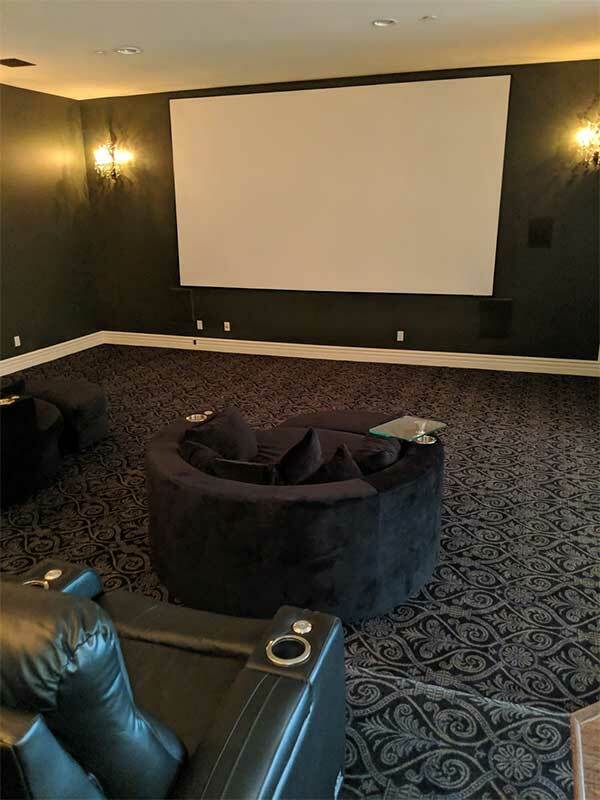 Description - Elegant and regal is how you want your new home theater to feel, and why not? You just spent a ton of money to enjoy your movies in the comfort of your home. No loud kids here to bother you! 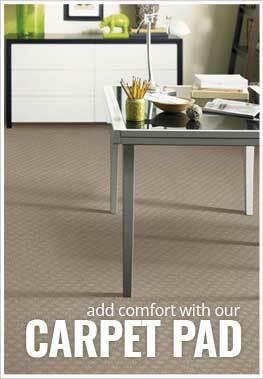 Resistance to soiling, staining, wearing and mold make Joy Carpets Damascus carpet the perfect flooring option for any home or business. 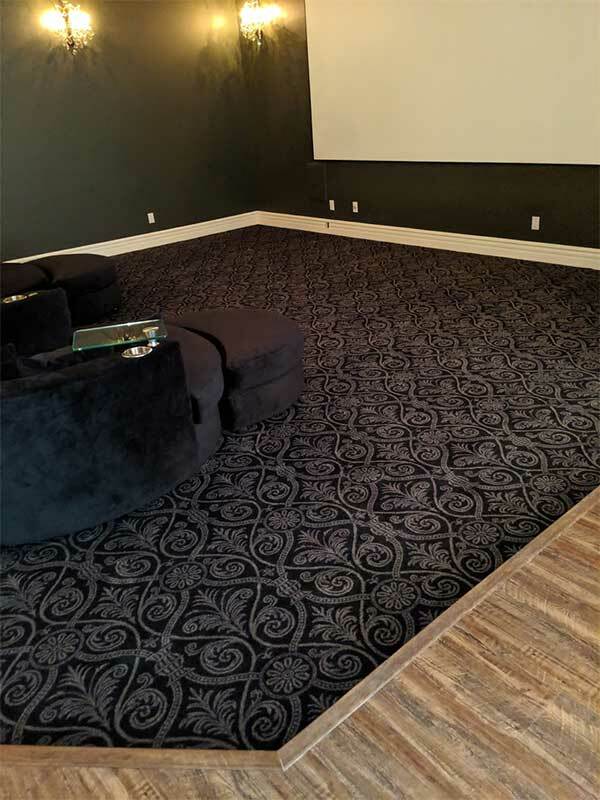 Commonly found as flooring in basements, home theater rooms, and cinemas, this carpet is backed by a lifetime warranty and very easy to clean and maintain. Pattern Repeat - 18" x 24"
Recommended Uses - Joy Carpets Damascus carpet is the perfect flooring option for any home or business and is commonly found as flooring in home theater rooms, cinemas, basements, rec rooms, family rooms and much more. Soil, stain, wear and mold resistant. Great for home theaters and cinemas. 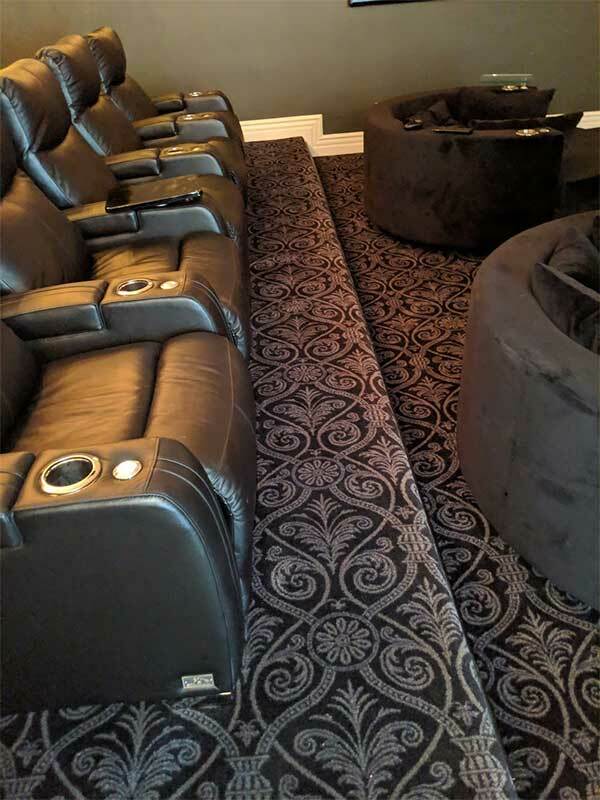 This carpet looks great in my home theater! I love my new carpet! The pattern is feminine and bold, the perfect combo for my style. Slay ! I used this carpet for my home theater and it came out great!